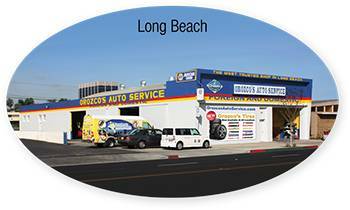 Orozco’s Auto Service started in 1990 here in Long Beach in the smaller facility on Long Beach Blvd. Because of our dedication to providing top- notch workmanship and truly caring service to our customers, we have grown. In just the last seven years we have more than quadrupled in business. Our second location on Atlantic Ave. adds a fresh new beginning to our the company. We see a very bright future with all the added capabilities. We plan to strengthen our well-known customer service with our staff of professionals. With the added capabilities, we will work hard to provide you with more service offerings, faster service and a more enjoyable experience. If you haven’t yet become a customer, I encourage you to give us a try. We really do work hard to make car care easier, more enjoyable and faster. Thank you for considering our shop. What are Orozco's Auto Service quality standards? The mark of a great auto repair shop is their commitment to providing quality services and repairs. At Orozco’s, we are dedicated to providing the highest standards of quality of workmanship and parts. We hire the very best technical staff possible. We look for auto repair technicians that have the experience and training, along with a minimum of ASE Certification. We currently have 8 Service Technicians on staff. We use only the best quality parts and fluids for your service and repairs. While some shops choose the parts and fluids to install in your vehicle based on the lowest price, we choose by factoring in reliability, quality of protection and long-lasting. We feel when we choose to cut the price by settling for a lesser quality product, you end up paying more in the long run. We also don’t sacrifice on the equipment and resources we provide our technicians. The best equipment and resources mean they have the tools to do the work on your car expertly and quickly without compromising quality. We are connected up with Internet resources that allow us to know all the details of your particular make, model and year of vehicle. This way, we are up-to-date and aware of the problems with your car and exactly what it needs to stay in great shape according to the manufacturer’s specifications. 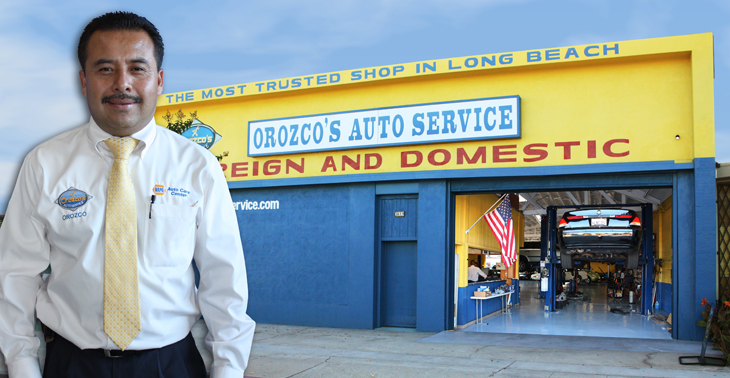 Why should I choose Orozco's Auto Service? Great Customer Service. We have purposely chosen a staff that understands how people should be cared for. We regularly discuss customer interactions and work to make them better for you. We also regularly send them to training programs to help improve their customer service skills. ASE Blue Seal of Excellence Recognized Business. All of our service technicians are very qualified and are ASE Certified Automotive Technicians.Â Most of our technicians have a substantial amount of experience. The experience, training and certification by the ASE (The Institute for Automotive Service Excellence) shows we are committed to providing you with the best service possible. Our service advisors are experts in auto repair and provide just the right advise to help you make informed decisions for auto service and repairs. Remarkably, they are also ASE Certified Service Consultants. This is quite rare in the industry. This means they are trained, experienced and certified to handle your service needs professionally. AND… they’re all nice people too. 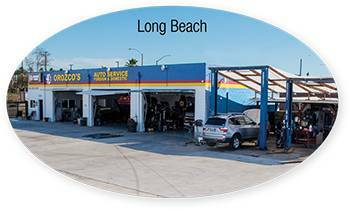 We have four locations here in Long Beach and Bellflower and now have 25 service bays! This means we can get your car in and out quickly and you’re back on the road as soon as possible. vMost of our staff is also bi-lingual. We are a NAPA Car Care Center and this gives you great benefits, including a nationwide warranty on all of our work. We believe in our service capabilities so much, that we comfortably give you a full 12 months, UNLIMITED mileage warranty. While most companies don’t mention a warranty or only provide a short period, we feel we can easily step up and give you this long of a warranty. This shows our commitment to doing things right. 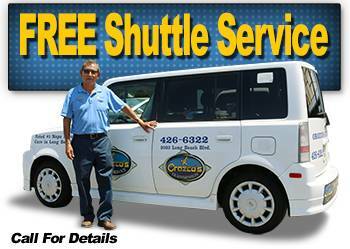 We provide a very convenient shuttle ride to and from work or home. Just come in for your appointment, and we will provide the ride to a local destination. We offer low-cost rental cars (only $15 a day!) through Enterprise Rent-A-Car when your car is going to be in the shop for more than a day. We strive to have your work done the same day you check it in. Rarely do we need your vehicle for more than a day, however some repairs require it. We use the best quality parts and fluids to service and repair your vehicles. While some companies cut corners to save a few bucks and make more profit, we don’t. We know that when we cut this corner, the customers suffer. We want our work to be dependable and perform the best for your vehicle. We provide a comprehensive program for fleets for local companies and organizations. So, if your company has vehicles, we can help you there too. We have invested into equipment and technical resources heavily. We do this so that our technicians can service your car quickly and expertly. This saves you time and money, and make sure your car is as safe and dependable as possible. How do Orozco's Auto Service prices compare to other auto repair shops? 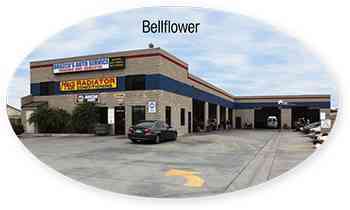 Because we are not a cut-rate discount shop, you can certainly find other shops that do auto repair cheaper. However, in general, we are very competitive with other shops of our grade. We will not cut corners and use inferior parts or fluids that would likely cost you more in the long run. We don’t settle for just any technician to perform the work on your car either. We hire the best technicians available. All of our technicians are ASE Certified. This means you have a well trained and experienced technician doing the work right and looking over your car to help ensure future problems won’t cause you unneeded and expensive breakdowns. 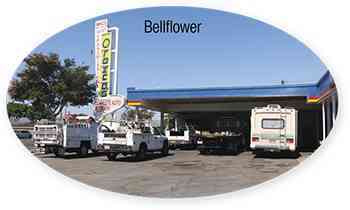 The bottom line is that our shop is not the cheapest, and we are not the most expensive either. But dollar for dollar, you won’t find another auto repair shop in Long Beach that works this hard and cares this much to give you the best value. What is the ASE Blue Seal of Excellence? The Institute for Automotive Service Excellence, The ASE, is the only nationally recognized organization in the United States that tests and certifies automotive service professionals. Technicians and other Automotive professionals test their skills and abilities through the ASE. 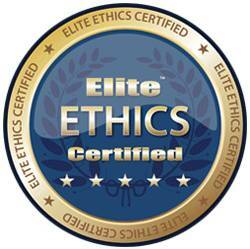 The ASE then gives them certifications so the public and employers can gauge the expertise of individuals. The certifications are ASE Certified and ASE Master Technicians for the mechanics that service vehicles.The ASE recognizes businesses that have a high degree of commitment to excellence and training. In the entire State of California, the ASE has awarded only 149 Auto Repair companies with their highest honors, The ASE Blue Seal of Excellence Recognized Businesses. Keep in mind, there are Tens of 1000’s of auto repair shops, dealerships, and other facilities in the state, so this is a very significant qualification to our abilities to provide service to your vehicles. How do I benefit from Orozco's being a NAPA Auto Center? It provides you with a nationwide warranty of all repairs – with any other NAPA Auto Care Facility. We proudly extend our warranty to 12 months and unlimited mileage because of the quality of parts we use. When you use the NAPA’s Car Care One credit card for your repair, you double your warranty and get free roadside assistance.